This is inspired by a dish served at Eleven Madison Park in New York. I knew way before I got my immersion circulator, during the days when I used a rice cooker to cook sous vide, that chicken breast was one of the meats that really benefits from sous vide cooking (Even though I didn’t give it enough time during my first attempt and parts of it were inedible) I recently saw a video of chef Daniel Humm preparing chicken breast sous vide, and I immediately put it on my “to-sous-vide” list. – Place a layer of truffles in between this pocket of space between the skin and the breast, do this for both breasts, thats what she said. Pros: I had high expectations for this, and I wasn’t disappointed. Easily one of the moistest breasts I’ve had(At least 25% of the content in this post is probably illegal in some countries), an instant hit with everyone at the table. Meat was well seasoned, herbs really shone through, and the truffles added a nice subtle earthy-ness to the dish. 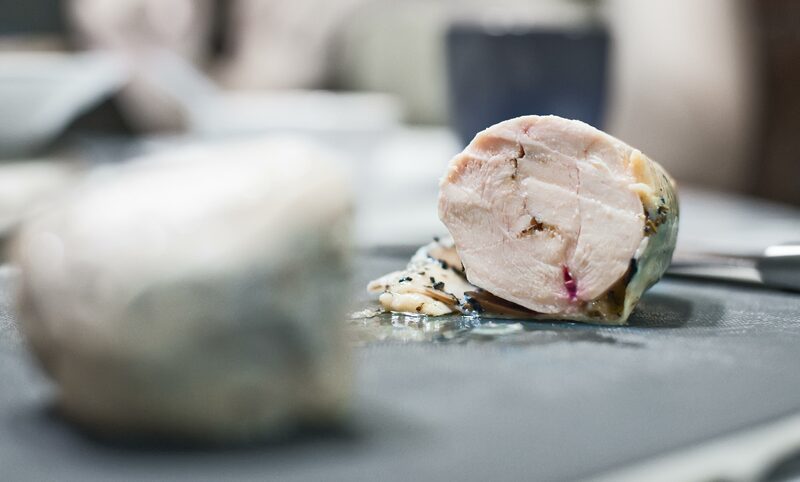 With something cooked sous vide like salmon, for example, the meat achieves a completely different texture- its pretty close to sashimi, and yet the meat still flakes, something that completely defies logic, and not everyone can appreciate this seemingly new texture. 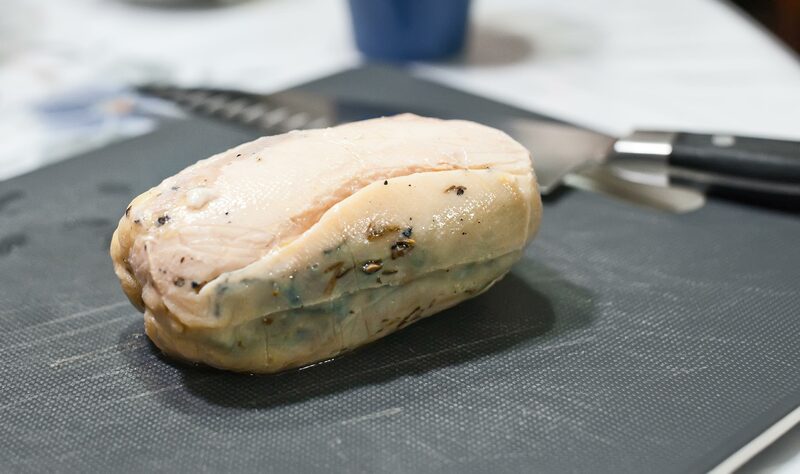 But chicken breast is one of the meats that is hard to argue against doing sous vide(I may have confused myself with this double negative), the product is just incredibly moist and meat isn’t stringy, it isn’t something that you can achieve with traditional cooking methods. Thoughts: I had actually wanted to use a lower temperature, I know Heston Blumenthal uses 60C for chicken breasts, but I was in a rush and decided to increase the temperature, plus I had no idea how long I was supposed to cook them for. Would 1.5C make much difference? That’s something I definitely want to find out, maybe the next time I get my hand on some fresh truffles…. Haha I’m from the MINDEF forums! Grim 😀 Anyways, I know this post is really old, but I’m really impressed by your recipes, and your blog! That said, having seen you constantly praise sous-vide is making me want to try it more and more.